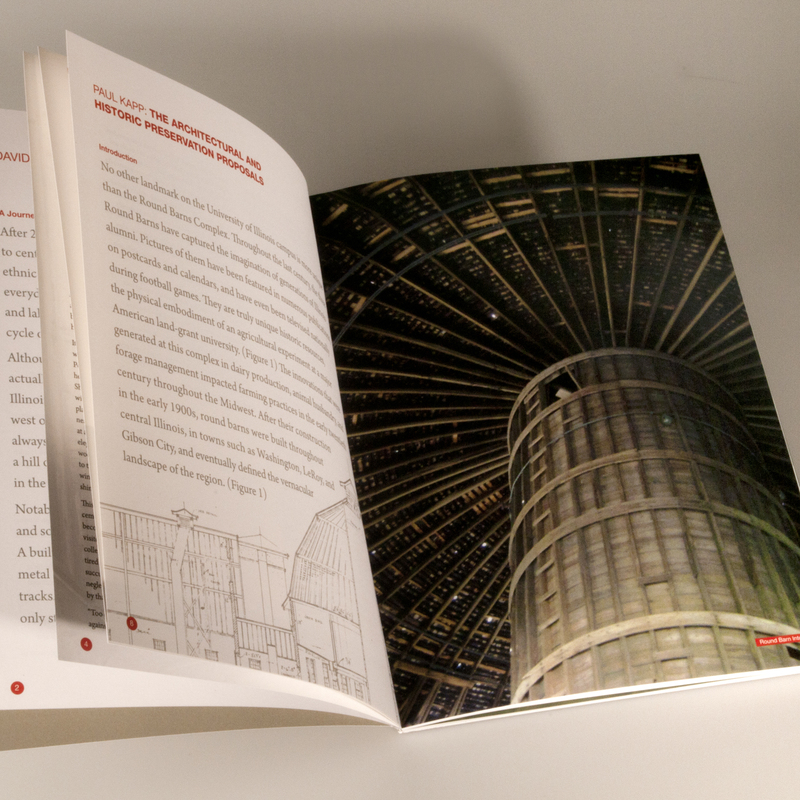 “Round Barns Projected” documents the collaborative design exploration for the experimental dairy complex by the students of the School of Landscape Architecture at the University of Illinois. The students were broken into multiple groups, each having a group specific mentor. 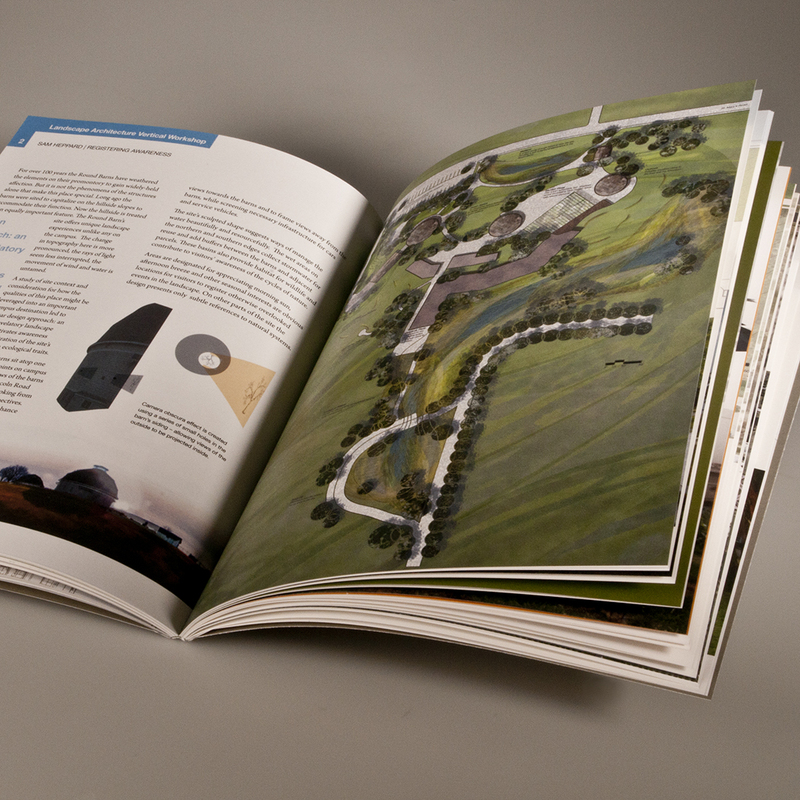 Each charrette was purposed with developing a strategy for the Round Barns area and mapping their solution. 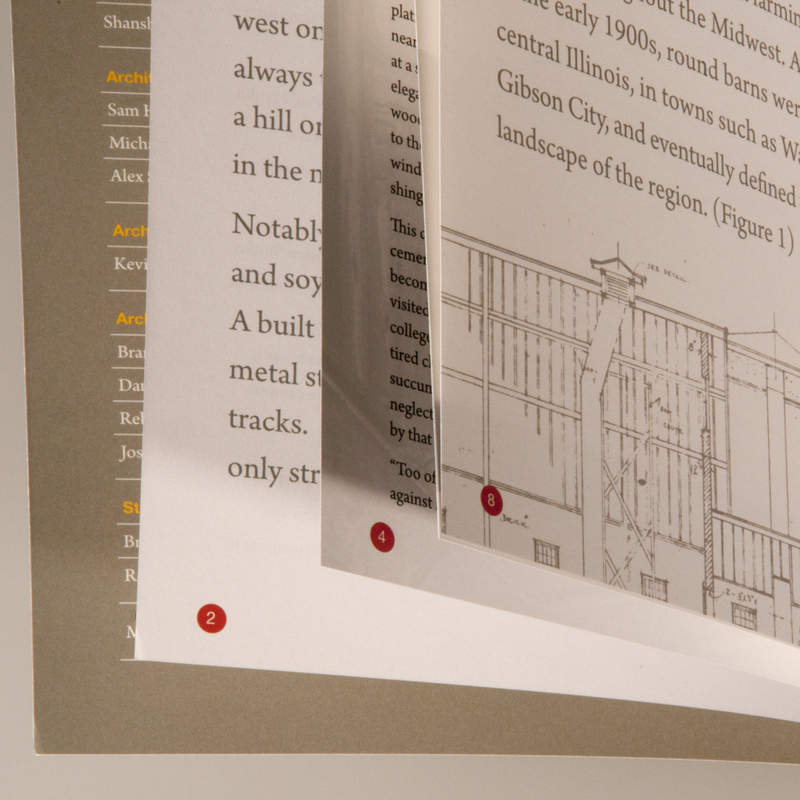 The publication was broken down into sections that documented the solution path mapped by each charrette. Each section included a developed brief, diagrams, charts, and images representing the final recommended vision of that group.